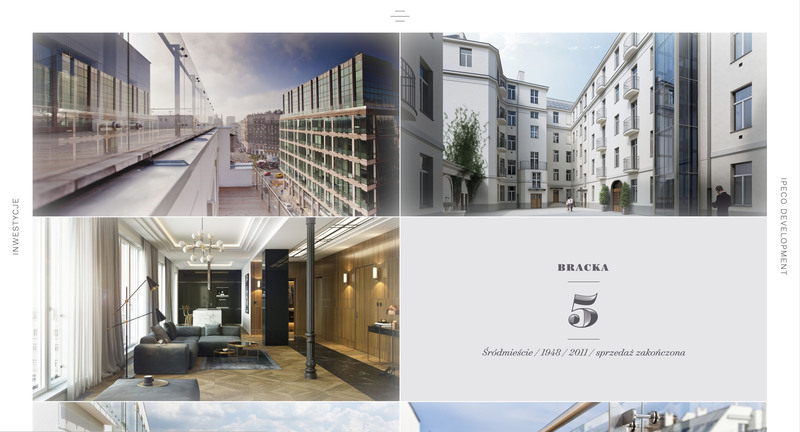 Ipeco renovates architectural landmarks in Warsaw, creating posh apartments in the city center. By caring for the details and accurately replicating original pre-war designs, Ipeco offers unique apartments to architecture lovers. We started by updating the logo and visual identity of the company to better reflect it’s up-scale character. We chose ornamental and elegant typefaces and created a consistent typographic system with drop caps and decorative elements. We analysed the content and navigation on the previous website. It did not offer a clear distinction between finished and future projects, and did not direct the users towards the actual product—apartments for sale. 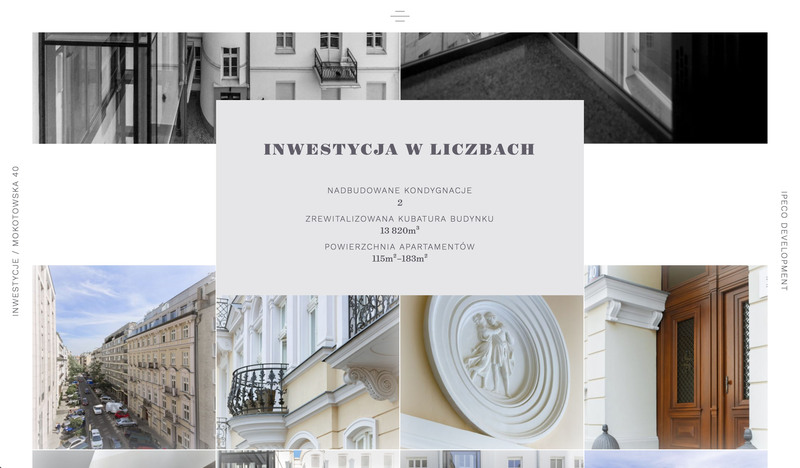 We decided that the role Ipeco plays in Warsaw’s architectural landscape is best explained by an illustrated narrative with “before” and “after” shots showed side by side. The most important information has been singled out in boxes to capture the readers attention. The site is alive thanks to animations and vector illustrations which complement the ornamental typography to create a contemporary take on historic aesthetics. Ipeco restores old buildings in Warsaw. The site we created shows their works and tells the story of the renovations.